Kris asks: How is your gardening coping in the late season heat? It’s amazing what a bit of late sunshine can do to the garden. I think this year’s unusual weather – heavy snow at the start of the year, a sizzling April, drab summer and hot October – has confused a lot of plants in my garden. I have a Mahonia in full flower next to a skimmia in bloom – both should not flower until the winter months. Unwanted self-sown seedlings have quickly taken over one of my borders before I could do anything about them, and early-planted winter bedding containers are sitting happily next to summer pots that should be finished by now. It’s not just the plants that I’m having problems with in this late season heat, insects too are having a late flurry of activity. 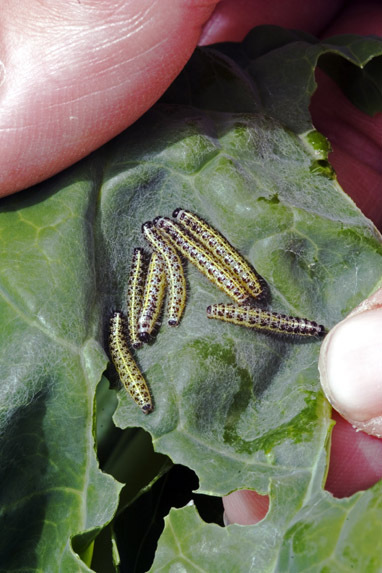 My winter and spring brassicas should now be save from caterpillar problems but I’ve seen cabbage whites flitting happily around the veg patch this week and the first of their late clutch of eggs has already hatched. I’ve picked off as many as I can deal with by hand and finished off the control with an application of Plant Rescue bug killer for fruit and vegetables. 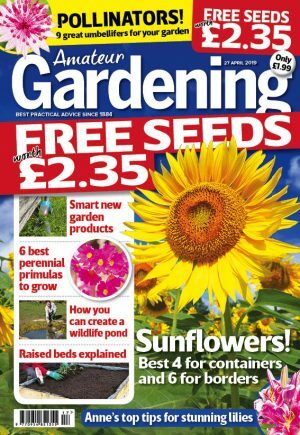 What problems are you experiencing in the garden during this period of late season sunshine?